Julie R. Sinclair is a Veterinary Medical Officer with CDC's One Health Office and a Commander in the U.S. Public Health Service. She is the CDC Liaison to the World Organization for Animal Health (OIE) in Paris, France. 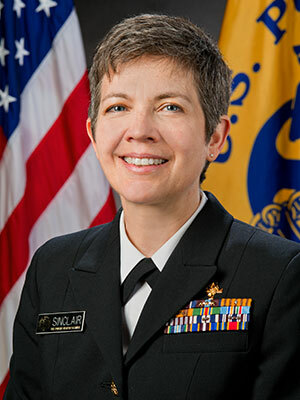 From June 2007 - February 2016, Dr. Sinclair held the position of Senior Quarantine Veterinary Medical Officer in the CDC's Division of Global Migration and Quarantine where she served as both a medical officer and subject matter expert in zoonotic diseases, border health, and importation policies and regulations. With CDC and the U.S. Public Health Service, she has deployed to India, Hurricane Katrina, Haiti, Guinea, Cote d'Ivoire, and the Dominican Republic (U.S.S. Kearsarge) working on responses as varied as polio, cholera, animal health and immunization, and Ebola. Issuance of confinement agreements using CDC Form 75.37 ‘Notice to Owners and Importers of Dogs' to importers of dogs that are not vaccinated or incompletely vaccinated against rabies is part of CDC's regulatory program to prevent the entry of dogs infected with rabies. Although this is a regulatory program that depends heavily on partnerships between CDC and STLTAs, CDC had never formally evaluated the acceptability of the confinement agreement process with these partners. A survey of nine STLTAs was conducted to evaluate whether these partners have enough personnel and resources to implement the regulation and their general opinions of the confinement agreement process.